Ideal for making your own longbow, Buffalo horn nocks, one top nock and one bottom nock, as seen in picture, can be polished to a high shine. These nocks are provided without string grooves (or you can choose to have us put the grooves in for you for an extra cost, select it from the drop down menu) so you can put the groove in the correct position to match the lie of your string when the bow is braced, this can prevent premature string ware/fraying and more importantly a more secure fit for the string preventing it from coming out of the grove during use which could damage the bow. 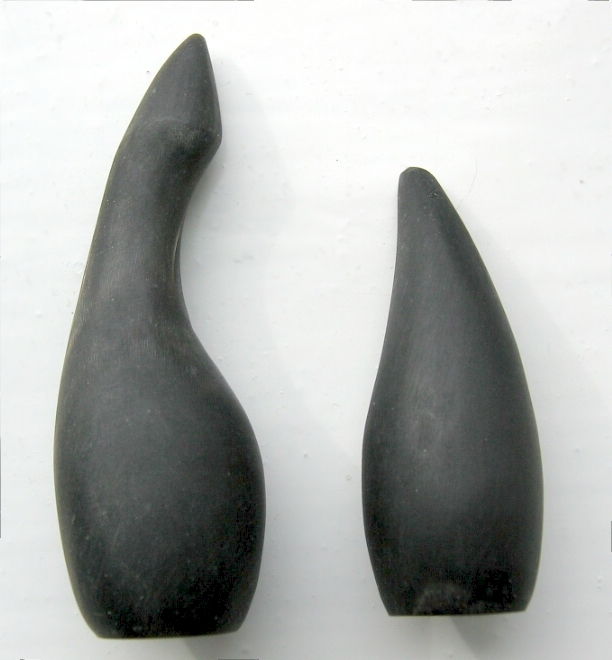 Top nock is 3" long approx, bottom is 2" long approx, hole diameter for fitting to bow is approx 14mm. A video is shown below on how to make basic grooves in these nocks. Sold in a pair as per picture, choose how many pairs you want at check out.